On behalf of admin of JML Law, A Professional Law Corporation posted in Train Accident on Thursday, Dec 28 2017. Although railroads may seem like a relic of the past – as people choose to travel by car and plane most of the times – train accidents still happen. Fact: over 11,000 train accidents take place on America’s railways every year. Even though railroads are losing their popularity among U.S. citizens year by year, there are still over 130,000 miles of railroad tracks in the country. That’s a lot of obsolete and poorly maintained railroad tracks that pose a threat to Riverside motor vehicle drivers, passersby and, of course, train passengers. In the 21st century – when the popularity of air travel and cars is booming across the world – railways are mostly used to transport heavy cargo and agricultural products across the United States. Fact: there are over 600 railroads in the U.S. The rail lines in our country often cross one another, go along roads, cross over and under bridges and roads, and pass through tunnels. That means trains are oftentimes in close proximity to pedestrians, cars, trucks, and buildings. This, in turn, can lead to highway-rail accidents, including train-car and train-pedestrian accidents, in Riverside and all across California. Fact #2: deaths and injuries occur in over 60% of all train accidents reported annually. Fact: more than 50% of all train accidents in our country occur at unprotected rail crossings. Moreover, about 80% of all crossings are not equipped with proper warning devices to warn car drivers and pedestrians that a train is approaching. Establishing cause of a train accident is vital in order to determine liability to know which parties can be held liable for your injuries, damages and losses sustained in a train accident. More often than not, victims of train accidents are able to pursue legal action against multiple parties due to the comparative negligence doctrine. Under federal and state laws in Riverside, railroads are required to be equipped with black boxes in their passenger and freight trains. These boxes are electronic devices that capture all the relevant information that may be important to determine fault after a train accident. Black boxes record the train speed, the use of the brakes, how horn signal was used before the accident, etc. However, in most cases, victims of train accidents will need to be legally represented in order to obtain information from black boxes. 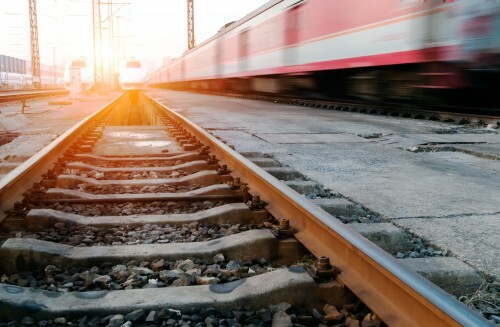 Here at JML Law, our Riverside train accident attorneys have helped victims of railroad accidents recover monetary compensation for their injuries and damages. Call our lawyers at 818-610-8800 or send an email to get a free initial consultation.